Well, not really, but we decided it should be! 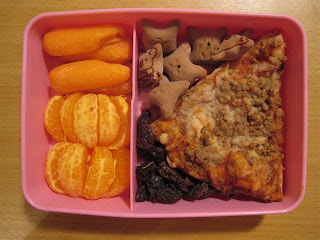 Faith had a slice of pizza in her bento leftover from the other night. She also had carrots, orange slices, koala cookies and raisins. It was a hit, she told me she ate it all as soon as she got in the car.